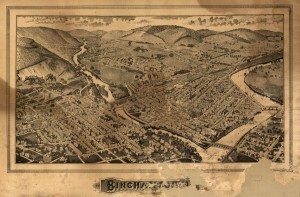 Third in a series on searching for the birthplace of my great, great grandfather Arthur Bull. 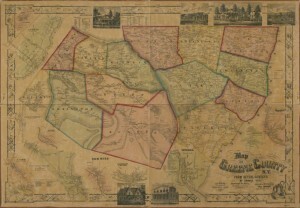 County boundaries in New York State took a while to settle down after the Revolutionary War. 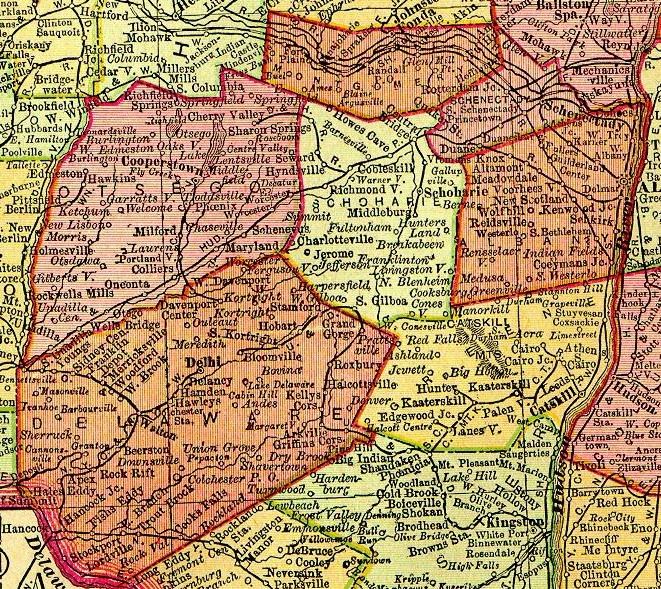 As a result of this nineteenth century border wrangling, the elusive birthplace of my great, great grandfather Arthur Bull may have started in one county (Greene) and ended up in another (Schoharie). Thus leaving it up to census takers, town clerks and military personnel to pick one or the other to put on a form as his place of birth. Of course imagining this is one thing. Finding sufficient evidence to satisfy the genealogical proof standard is quite another. So I continued consulting historic maps and census records for clues to support the moving-borderline theory in hopes they might ultimately point the way to Arthur’s birth location. 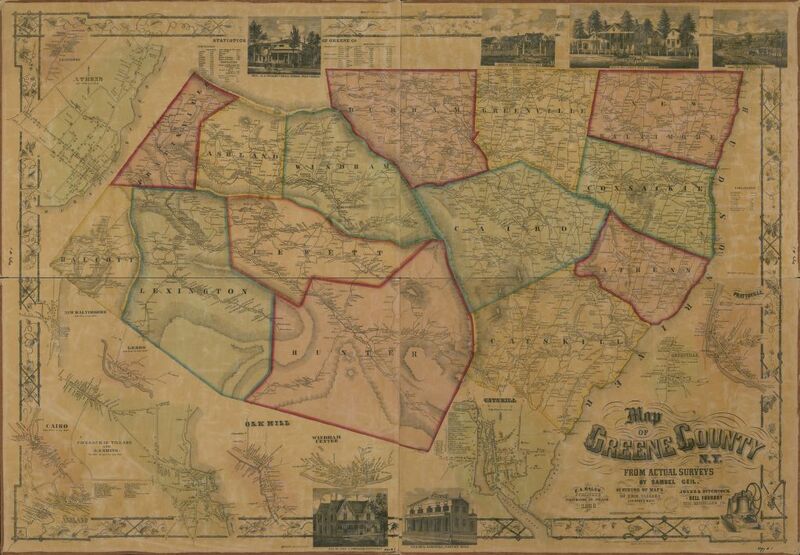 Histories of Greene County, N.Y. — which was created in 1800 from parts of Albany and Ulster Counties — indicate the county underwent a series of border changes after its founding. 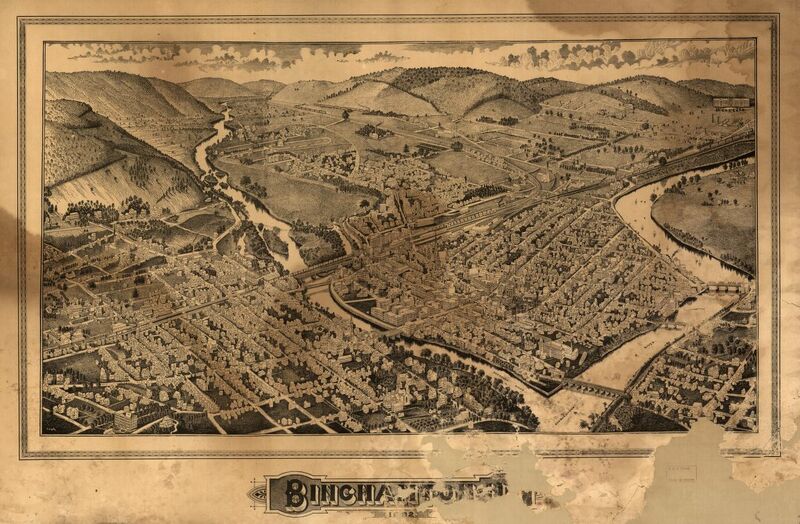 But the one that most interested me was the last one on 3 March 1836 — two years after my ancestor’s 1834 birth — when Greene County lost 30 acres of northwest land to neighboring Schoharie County. I wondered: Had my ancestor Arthur lived in one of these towns — perhaps in the the ceded area — leading him to claim two counties as his birth place? Maybe census records could help me out. 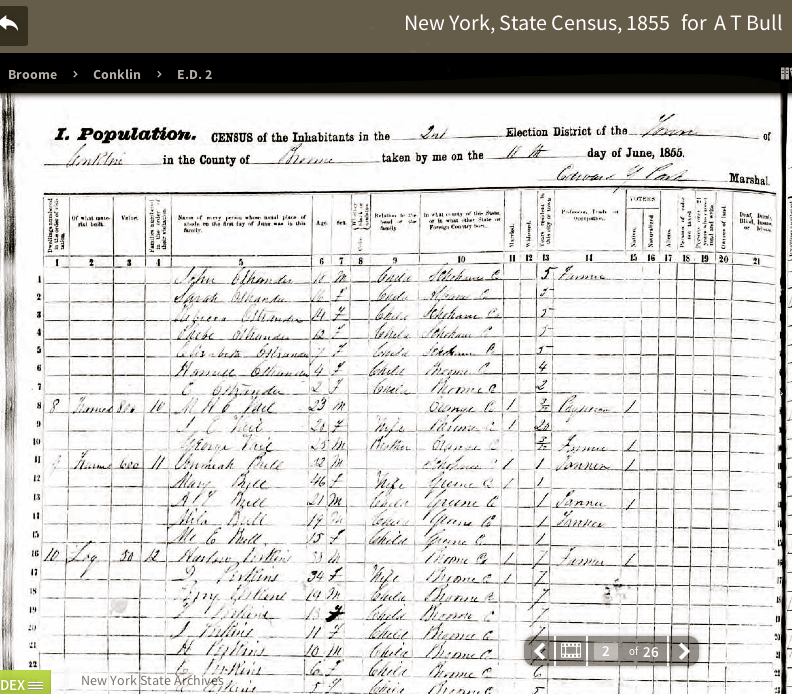 In Schoharie County serendipity, I noted that the 1855 New York State census for Conklin, Broome Co., N.Y., gave the age of Arthur’s younger sister M.E. 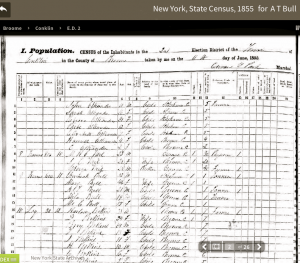 [Mary Elizabeth] as 15 and her birthplace as Greene County, N.Y. That could place his family of origin in the Catskills area at the time of Mary’s birth in 1840 — a federal census year. 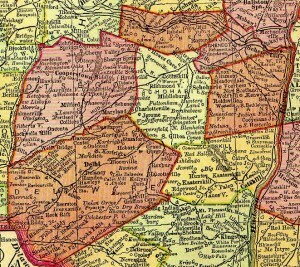 So I searched digitized records of the 1840 U.S. Census for my great, great, great grandfather Jeremiah Bull (Arthur’s dad), and found someone by that name enumerated as the head of a household of six in Greene County’s Town of Windham — one of the towns that gave up land to Schoharie County. Yet if this was Arthur’s family, they were still living in Greene County four years after the 1836 land transfer. Did this debunk my theory? Or might the Bulls have lived further north at the time of Arthur’s birth? And how could I determine if this actually was Arthur’s family when only the head of household’s name appears on the 1840 census form?